The V Series power supply boasts very quiet operation with minimum voltage fluctuations, low ripple and low noise. This is the perfect power supply for your souped-up gaming machine and for anyone who requires maximum reliability for their valuable components. With a single +12V branch, this is the perfect power supply for connecting two top-of-the-range graphics cards. Another welcome feature is the flat detachable cables, which allows better airflow within the computer chassis. Fully compatible with the Intel EPS12V 2.31, a performance of 1200W is achievable without any significant voltage drop on each branch. Its power efficiency exceeds 93% and the active PFC system (protection against interference with neighboring electrical appliances and re-harmonic radiation to the network) offers maximum reliability, stability and high performance. The cooling system takes looks after the low-speed 135mm fan with fluid bearings which promises low noise, immense durability and a hybrid fan controller. Detachable cables, Active PFC, Thermal speed control, Power switch Done! 190 mm (19 cm) Done! 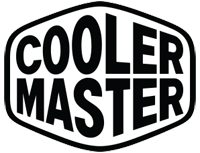 For shipping to other EU countries visit this page Cooler Master V Series 1200W. Chcete doručit zboží do Česka? Prohlédněte si Cooler Master V Series 1200W. Chcete doručiť tovar na Slovensko? Prezrite si Cooler Master V Series 1200W.